It looks as if there is no salvation for the Intermediate-Range Nuclear Forces Treaty (INF Treaty). One could shout oneself hoarse arguing whether the treaty had a chance of survival, but this will be the task of future historians. At this point in time, it is much more important to think about a world without the INF Treaty and whether we can resume control of weapons in some other form. Clearly, it is unlikely that any new strategic arms control agreements will be signed in the next few years. First of all, the political background in Russian-US relations is not favorable for fruitful talks. Can such an agreement be discussed at all when the two countries’ leaders cannot coordinate their next meeting for six months? In addition, amid the ongoing political crisis in the United States, any talks with Moscow become the subject of fierce fighting between the White House and its numerous opponents. And lastly, there are no strong antiwar movements and no clearly expressed public opinion in the West or the East that would force the national leaders to accept arms control as a foreign policy priority. Therefore, Russia, the United States and the rest of the world will have to move through a relatively large dead zone with few chances of resuming full control of strategic armaments. This situation may last until the end of President Donald Trump’s term, or until the beginning of a new political cycle in Russia, or until the next edition of the Cuban missile crisis of 1962, etc. It is also clear that the problem of nuclear arms will not fix itself. No, it will only grow worse unless Moscow and Washington start cooperating to resolve it. The risk of a conflict will grow, along with the cost of a new arms race, and critics will become increasingly outspoken. This means that Moscow and Washington will eventually have to resume talks. If this is the case, the task is to shorten the pause as much as possible and make the resumption of the talks as simple as possible. There are at least four ways of doing this. First, even the absence of formal obligations under the INF Treaty or the New START Treaty cannot stop the sides from honoring them de facto. The analysis of the Russian and American nuclear modernization plans shows that the sides do not intend to move beyond the existing agreements. An informal arrangement or at least a silent agreement to maintain the status quo in the nuclear sphere would definitely help Russia and the United States avoid serious problems and additional expenses. The ball is in Moscow’s court in this case, because it will be technologically and geopolitically easier for Moscow to take advantage of Washington’s decision to withdraw from the INF Treaty. Second, any Russian-US consultations on the principles of strategic stability would be useful in the first or second track or even between them. It would be naive to expect a breakthrough, but a continued interchange between the sides would have a positive psychological effect. Besides, this dialogue, as well as respect for the common strategic culture and the accumulation of new ideas, would allow them to sooner move over to concrete talks when the political conditions for this come about. Third, a pause in Russian-US cooperation on strategic arms could be used to gradually involve other nuclear powers in these discussions. Of course, this extremely difficult task calls for great patience and tact, but the sides will have to do it eventually anyway. Washington’s withdrawal from the INF Treaty is an opportunity to start considering ways to do this, because the demise of the treaty has a direct bearing on all members of the nuclear club. And fourth, in this situation Russia and the United States should focus on preparations for the 2020 Review Conference of the Parties to the Treaty on the Non-Proliferation of Nuclear Weapons (NPT). 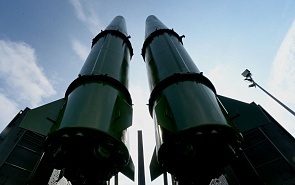 Withdrawal from the INF Treaty and, more importantly, refusal to extend the New START Treaty would create major risks for the global non-proliferation regime, and the next NPT Review Conference may turn out to be the last. This will not benefit Moscow or Washington, and so a common interest in preserving the non-proliferation regime may provide a major incentive for maintaining Russian-US cooperation, even if in a limited scope.